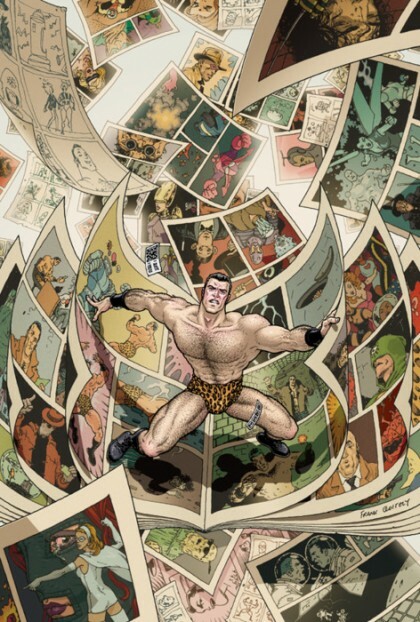 Favorite Superhero Book of 2012: Flex Mentallo: Man of Muscle Mystery: Sure it is a reprint, but it is book that showcases Grant Morrison at his Doom Patrol era weirdness and the great Frank Quitely being…well, the great Frank Quitely. The awesome title of the book and that marvelous cover by Quitely alone are worth the price of admission! And here’s the best part. 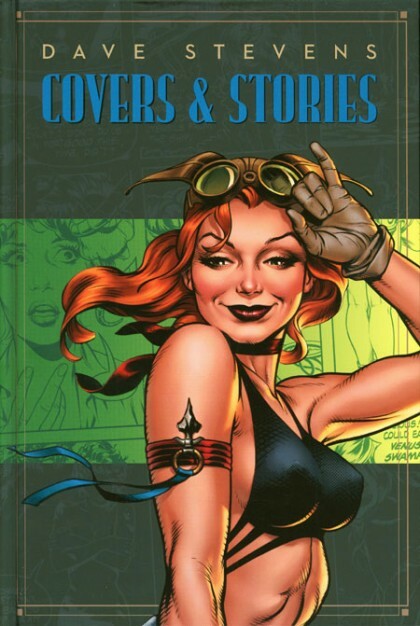 This HARD-COVER that collects the infamous 4 part mini-series is only $24.00!!!! Earlier this year those two dozen hard-earned dollars would not have been enough scratch to purchase any one single issue of the original series. And did I mention Frank Quitely–well shame on me, I should have done that earlier. Favorite Non-Superhero Book of 2012: Crime: The Simon & Kirby Library: Our friend and editor extraordinaire Steve Saffel has done it again. 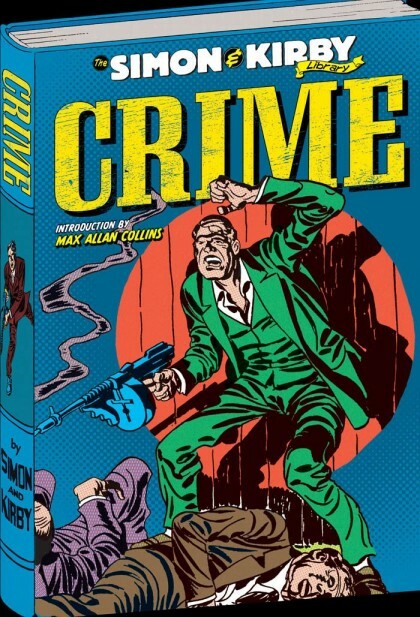 This third volume of the Simon & Kirby library is a noir-ish delight from beginning to end. In addition to hundreds of fun and grisly crime comics just dripping with atmosphere, great storytelling and tons of red ink, this collection encapsulates everything an anthology should be–loving, respectful and above all generous in its content and presentation. See why Simon and Kirby spun gold out of whatever genres hay they were given. This is DEFENSE EXHIBIT A why myself and a jury of my peers are obsessed with the work of the KING!!! 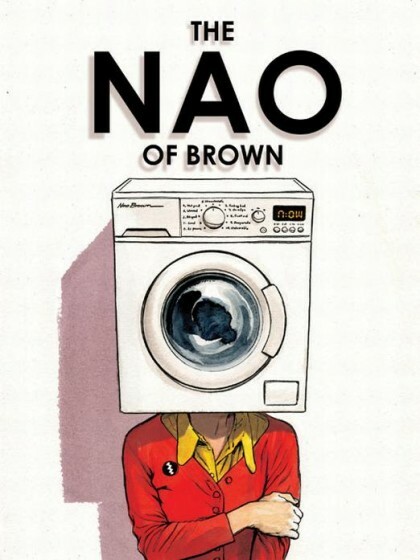 Favorite Original Graphic Novel of 2012: The Nao of Brown by Glyn Dillon: heartbreaking, hopeful, beautiful and so compelling, you’ll read this novel all in one sitting and come away from the experience with a fully realized relationship with the main character. This is a stunning sequential art tour-de-force. The writer/artist Glyn Dillon provides internal narrative sequences that could only work in a comic art format. It takes comics to a new level. Once you read it, it will be a part of you and you will want to pass it on to anyone nearby. Nothing short of stunning. I can’t wait to read it a second time! 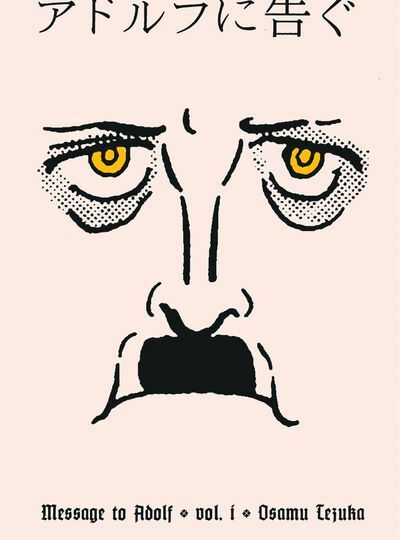 Favorite Manga of 2012: Message to Adolph by Osama Tezuka: I don’t read a lot of Manga, but any American edition of Tezuka’s “adult” work is cause for celebration. I’d rather not describe the plot. Pick up the first part of this graphic novel–set in World War II German and Japan– you will be enthralled. This is the ideal comic to understand why Tezuka is the Japanese equivalent of Kirby, Eisner and Barks all rolled into one artist. 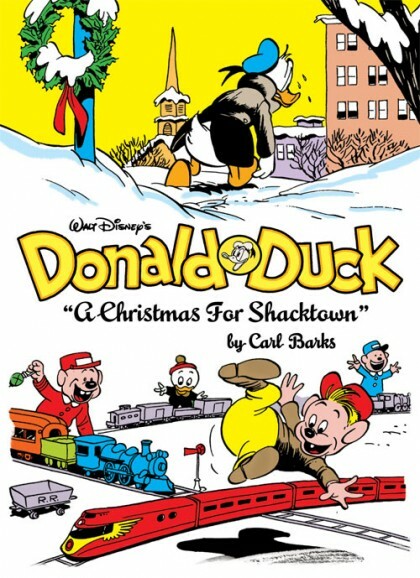 Favorite All Ages Book of 2012: Walt Disney’s Donald Duck Vol. 2: “A Christmas For Shacktown”: An obvious and essential choice (although Langridge’s original series SNARKED is a solid #2!!) Carl Barks’ comics live up to their “classic” reputation. These are 20 page, 10 page and single page Donald Duck stories all selected from Barks absolute creative peak. All the stories are wonderful, and the title tale and “The Golden Helmet” are two of the best comic stories of all time. These Library editions are splendidly put together with insightful essays to supplement each story. And (in the spirit of the category) your kids will love it almost as much as you. Indispensable. Favorite Strip Collection 2012: Another exceptional year for comic strip reprints. I honestly have a 5 way tie for second and a 6 way tie for third! )but the greatest publication of 2012 was the final volume of Fantagraphics Complete E.C. 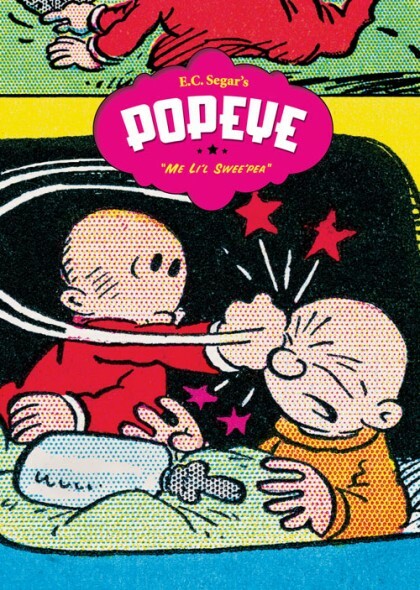 Segar–Popeye, Vol. 6: Me Li’l Swee’Pea. Segar was near the end of his time on earth– a life cut short tragically by Leukemia at the age of 44. His short but profound, brilliant and hilarious legacy lives on thanks to these 6 beautiful over sized editions. Segars work continues to influence cartoonists to this very day. And it is still funny with biting social commentary that is still relevant. You all need to buy it, read it and cherish it. What a year!! I can hardly wait for 2013–In your face you Mayans!